Defining your goals will be the first step of your journey to success! You have to be clear on what it is that you want to achieve. The moment you define what it is you want to accomplish the easier it will be to set out your goals and objectives. By having set goals you are already more focused towards your success than not having a starting point or clear vision of your goal! Write down your goal and be realistic. Take your time and really think this through. Differentiate between your personal goal, family goal, financial or business goal. As I said be realistic about this. WHY do I say so? So that you don’t end up setting unrealistic goals in an unrealistic timeframe to only be overwhelmed and discouraged by not reaching them in the end. 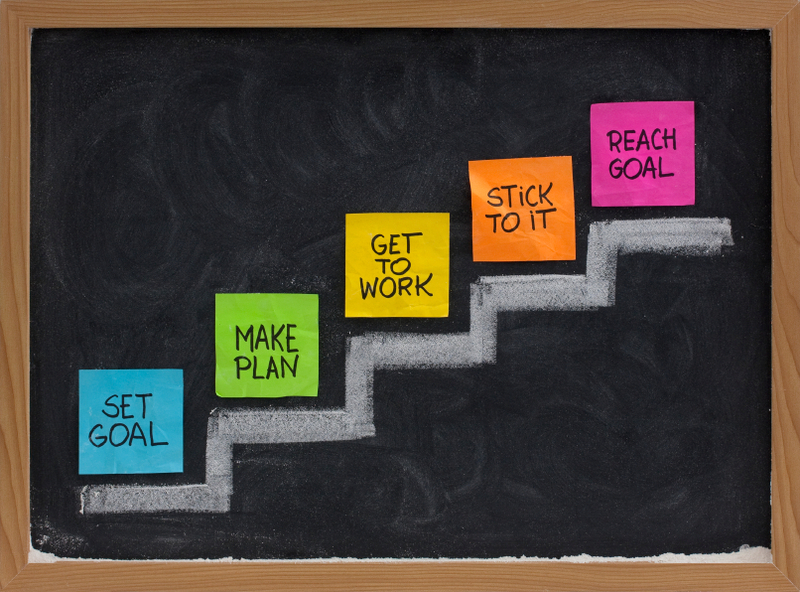 By setting realistic goals in a proper timeframe will increase your chances of actually achieving them. No matter how small or how big your goal might be, write it down or print it out and put it somewhere where you will be “visually” reminded of how bad you really want this. Once you have your goal, set your time frame for achieving your goal. Work on a time frame for a long-term or short-term goal. For example – Have a 3 Month / 6 Month / 1 Year / 5 Year / 10 Year Goal. You will see how amazing it is to look back after 3 months or a year and actually see what you have achieved or reached. The feeling of achieving a goal is absolutely priceless and it is like an “inner being” accomplishment!! Be SMART when you set your goals? Get a mentor or “role model”. This person must be an inspiration to you or someone who achieved a similar goal than the one you are setting for yourself. Do research on the goal or similar goals or people who reached it for example a Weight Loss goal. Research the things they did or what helped them to achieve their goals and let this be a guideline for you! Always remember to never compare yourself with others we are all unique individuals. Let it be a guide or motivation only. Then share your goal with a friend, your spouse, co-worker, family member or through a blog. This will keep you accountable believe me this is how my blog became such a big part of my “journey”. Sharing stories by not only motivating myself in the end but others as well. So go on set those goals. Don’t set NEW YEAR RESOLUTIONS rather set SOLUTIONS and GOALS. I will shortly share why I posted this specific topic on Goals or Motivation. COMMITMENT IS THE GLUE THAT BONDS YOU TO YOUR GOALS! Posted on December 12, 2012, in Daily Post and tagged Claudine Kidson, commitment, Fitness, get to work, Goal, Goal setting, Health, healthy living, make plans, motivation, reach goals, Self-Help, Set Goals, stick to it, USN 12 week challenge, weight loss. Bookmark the permalink. Leave a comment.